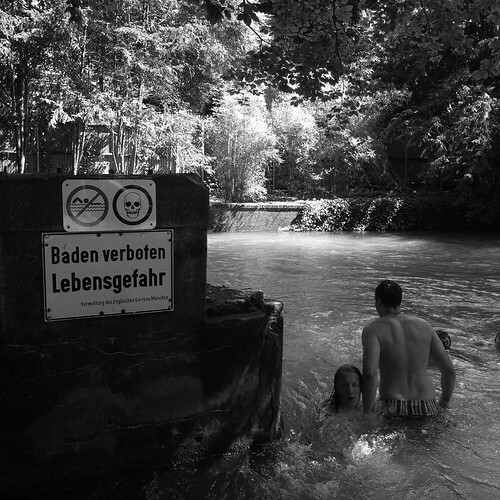 Baden Verboten, originally uploaded by Eric Jeschke. The signs posted along the rivers in the Englisher Garten (“Bathing Forbidden, Life Danger”) didn’t keep the city’s youth out of the water on this day of my visit. They were swimming, surfing, riding the currents, etc.